Color available White, Green, Pink, Yellow etc. Raaa Bird Print Travel Pouch is ideal to carry the essentials such as jewelry, cosmetics, medicines, creams and other toiletries. 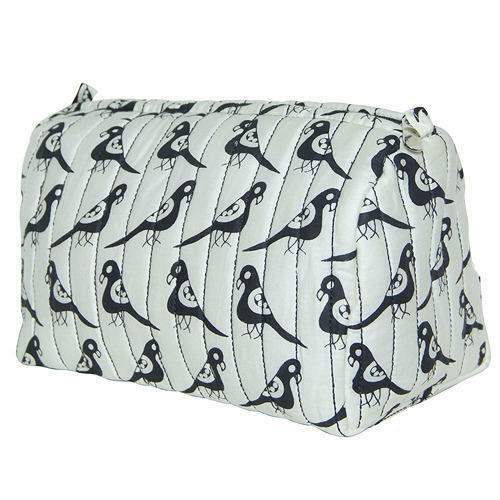 Raaa bird print travel pouch is made of cotton silk fabric with a quirky bird print. The cotton silk fabric gives it a classy look. Now carry your essentials in style with Raaa pouch.